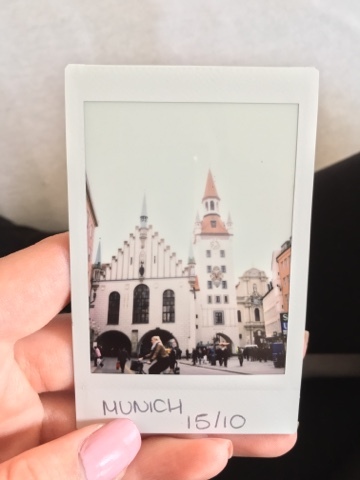 Before leaving for Germany, I was trying to think of creative and special ways I could record some of my year abroad memories. I knew I would be taking lots of photos and after a day trip or an event I always find myself sitting scrolling through all the photographs I have taken on my phone. Ever since I was little I have loved sitting and looking through photos; for that split second in which the photo was taken life was almost frozen. 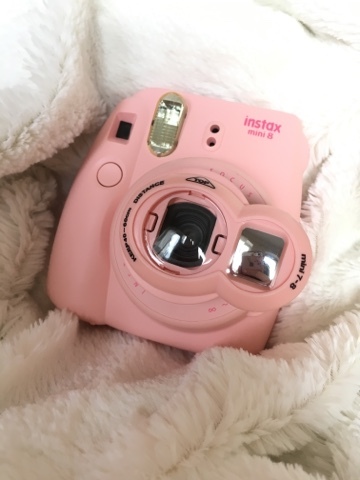 It was that sense of capturing a moment that led me to purchase my first ever polaroid camera - the Fujifilm Instax Mini 8. It comes in a variety of pastel colours but was there really ever any doubt that I would go for the pink one? 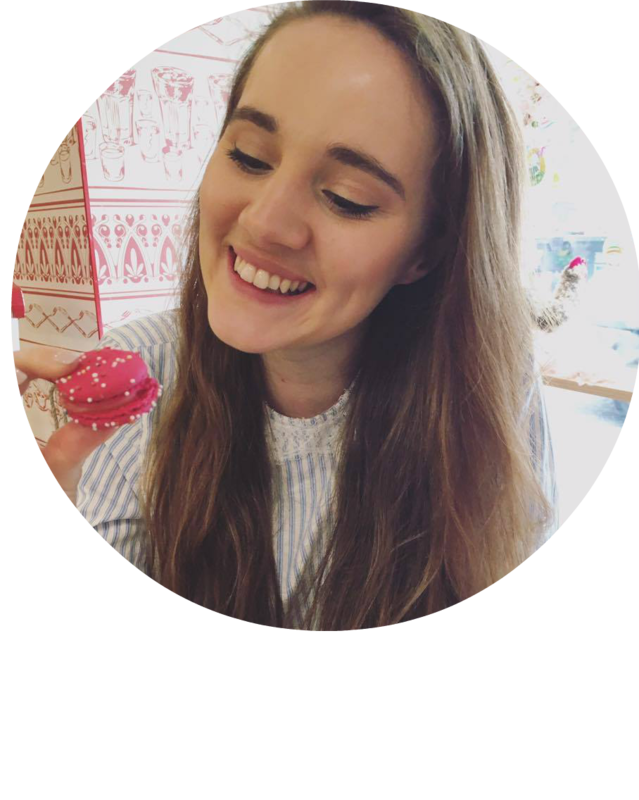 Normally when I take photographs, whether it be of a palace or a selfie of me and my friends on a night out, I take about ten different shots with different angles and filters and then I would sit and agonise over which was good enough to grab a coveted spot on my Instagram lol. However with a polaroid you get one shot. If someone blinks, a lorry drives in front of your palace or your hand slips that's it. Shot ruined? Not quite. It's taken me a while to get to grips with my polaroid. It has four different settings, indoors, cloudy skies, normal daytime or bright sunshine. Helpfully it automatically senses which setting you should take the photo on. However you can also use these different settings to set the tone for your polaroid. 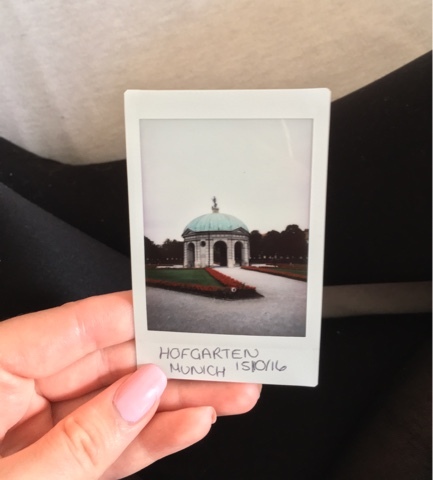 For example, in the polaroid I took of the Hofgarten in Munich I used the indoors setting to dull the colours down and add a slightly darker atmosphere. To be quite honest, it took me quite a while to get to grips with these settings and for about the first 10 prints I was either overexposed or my photos came out dull. However going to what I said before, I didn't think of these photos as ruined. They are unique and special and in that instant that is how I captured them. So great, you've taken a photo and it's printed out instantly, but what do you do with it now? First things first I'm the realest, do not shake it like a polaroid picture. Put it somewhere safe for now, if I'm out and about I usually actually put them in my purse. Also be super duper careful not to touch the picture, I have made that mistake before and ended up with a huge neon yellow fingerprint in my photo. Then, when I get home I always make sure to write underneath where the photo was taken and the date. 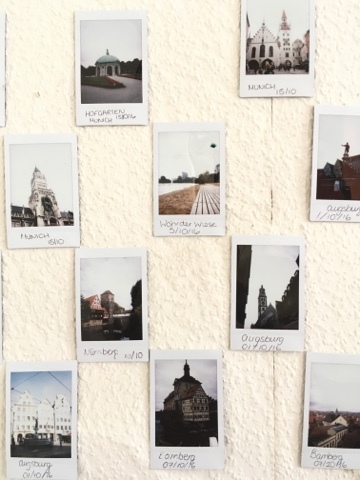 Since my new room in Germany is pretty large and the walls are pretty bare I have been creating mini photo collages around my room to add some colour and my polaroid corner is one of my favourites. One essential thing is that you buy a case and there really are so many out there. 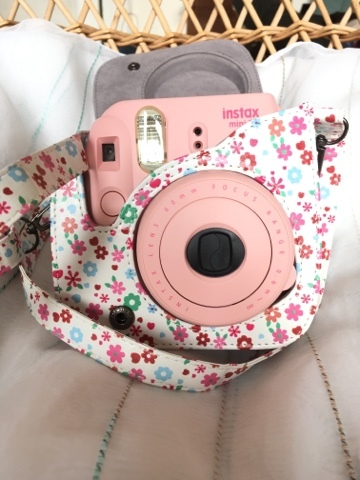 Being me, to go with my pastel princess pink camera I went for this flowery one. I actually just got mine from Ebay but Amazon also has a huge selection. Another not so essential but also very helpful accessory is this little selfie mirror. 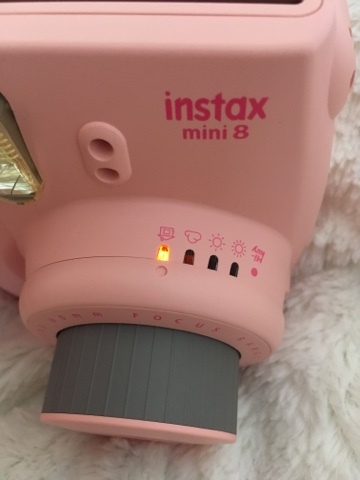 Simply attach it to the front of your lens and it gives you a little mirror to look into and see what your polaroid is going to look like. If I remember correctly mine was pretty reasonable, I think it was around £6. Now I am under no illusions that a polaroid camera is cheap and some see it as a bit of a novelty item but I can honestly say I am really happy with my purchase. Maybe I will get bored of it soon, but for the moment I am loving having little instant memories to keep, it just feels really special. I got my polaroid as part of a deal with 40 prints for around £90, and considering the prints themselves cost just under £1 per shot I think this is a pretty good deal. 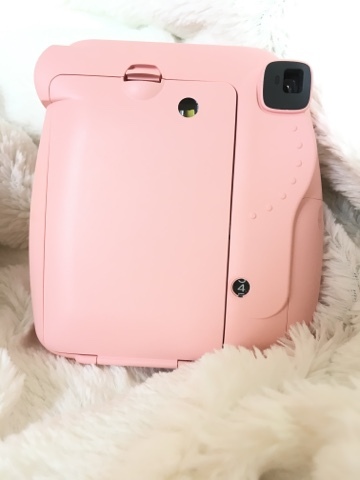 They are available in a variety of bundles on amazon and I think this model is being discontinued by the manufacturer so if you want one I would definitely order it soon! 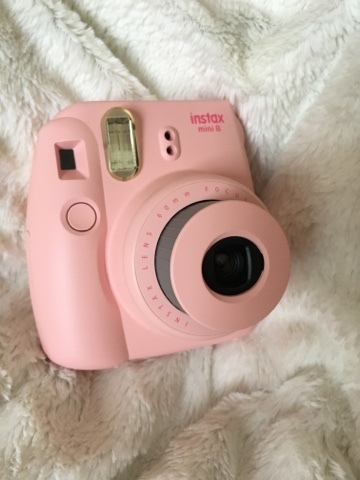 If you have a polaroid leave your top tips for taking photos in the comments because I would definitely love to hear them! 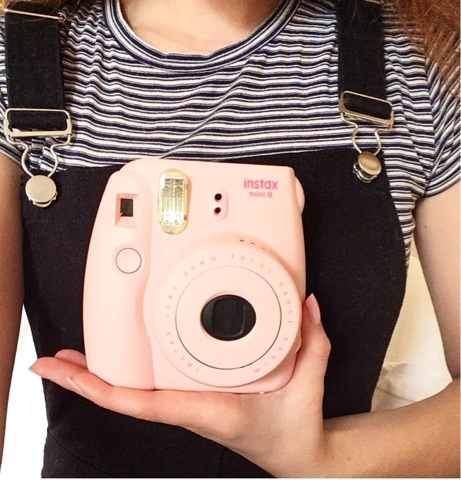 I think the Instax Mini is such a cute camera and a brilliant (and quirky!) way of capturing the moment, just as it is :) My cousin has one and strings up all the photos around her bedroom; she has hundreds and hundreds now! Are you searching for a travel companion for hire? Actually travel companion gives us many things in the trip. We don't feel alone when we go on a tour because of this companion. Otherwise tour will be dull and boring. Camera is also a good companion. Haha!